For Lower back pain, Headaches, Neck pain, Whiplash and Fibromyalgia. We work with your Doctors and other Specialists. Chiropractic Physician and Nationally Registered Certified Medical Examiner. Physical Assessment Testing We keep you driving. DOT Medical Card Same day. Walk In’s Welcome. It is our mission to provide hands-on health care that supports a family commitment to overall well-being. We provide comfortable, quality chiropractic treatment while we strive to give patients relief from pain as well as offer long term corrective care by tending to their unique conditions. Our doctor has the right touch for gentle adjustments and works with all ages from infant to elderly. We realize each patient has distinct needs and we provide personal care that is proficient and effective. In addition to offering several types of chiropractic treatment, we find it beneficial to utilize the latest in physical therapy and rehabilitative techniques. To compliment the doctor’s care, there is a licensed massage therapist and licensed Chiropractic Therapy Assistants who provide services to help patients understand healing and how to achieve maximum wellness. We provide on site digital x-ray, which allows the doctor to make a more accurate diagnosis. All patients will receive a report of findings, where they will have an opportunity to review their x-rays with the doctor and discuss the steps needed to restore them to proper function. With more extreme injuries, the doctor utilizes various offsite imaging techniques such as MRI, CT scans, etc, to provide a more definitive diagnosis. From temporary relief to optimal performance and function, we support your goals. Most people begin chiropractic care to patch up their aches and pains. Some people will trail off after they start to feel better. However, conditions have a tendency to relapse when the injury has not been properly rehabilitated, so most patients choose to continue their care to help stabilize and strengthen problem areas to avoid a reoccurrence. Often patients will make regular visits even after they have been cleared by the doctor in order to preserve their progress and overall health. Periodic checkups can minimize the severity of flare-ups and many patients prefer this proactive approach to well-being. 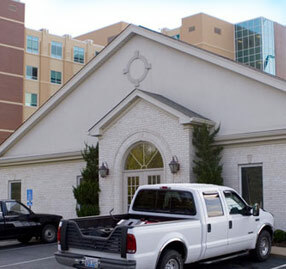 Tigges Chiropractic Clinic was established by Dr. Michael Tigges in July of 1988. The doctor and staff offer traditional chiropractic care as well as treatment and rehabilitation of personal injury, workers’ compensation, and automobile accident injuries. While proficient in many different chiropractic spinal adjusting techniques.